One, Uno, Une, Eins, Een, Ett, Satu, 日本語, 简体中文版, 한국어 …	The Third Time. A Charm? Outstanding!! I want one. Is this an update if I already have the older one? 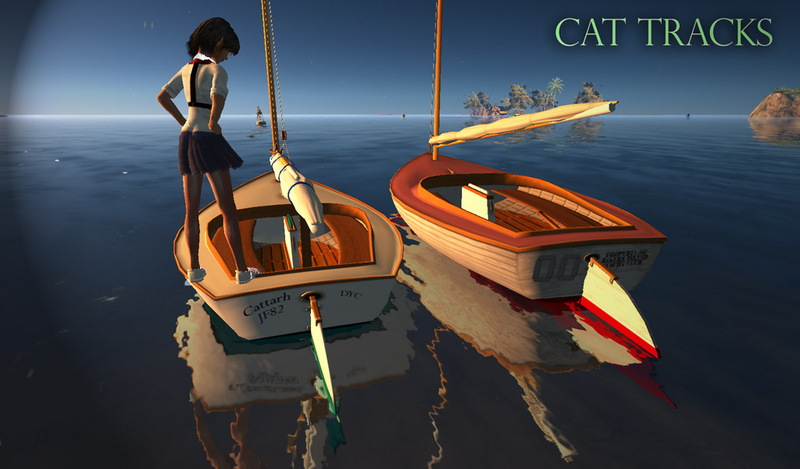 Hi Nber, in spite of her name, Leetle Cat II is an all new boat, and not an update to the original. Hi,Casey. No, it is an all new boat and therefore will be priced as one :) It will still be the least expensive “entry-level” Trudeau boat though. Wow, SUPERBBBBBBBB!!! 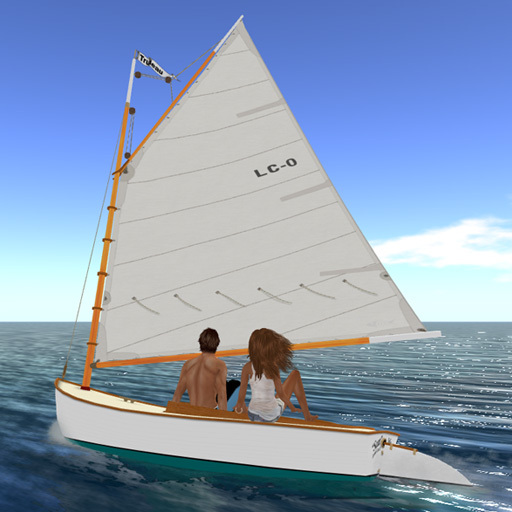 I’ve sailed all over the Seven Sims today in the new Leetle Cat II. The flapping and luffing sail is SO realistic and it is very easy to trim it as you would a real sail. I’m glad there are no ‘fun’ sailing modes as really anyone could learn to sail in one of these … and then probably push off shore in a real one in First Life and not be a menace to others lol. I sails really well and quite fast for this style of boat, especially off-wind. Into the wind is a greater challenge, but then that’s how it should be. Just be warned – bring a change of clothes as she’ll toss you in to virtual briny if you don’t take care to keep her upright. Once again, Jacqueline, what a beauty! SUPERBBBBBBB!!! I have been waiting for a new small boat from Trudeau for so long time and this are really wonderful news. LC2 is like a combination of LC, T1 and FF3, that sounds very cool! Can’t wait to login SL next time and try this beauty out! And a Trudeau boat which capsizes… wow! But Timo’s right about LCat2 too!!! “Capsize” consequences bring sharp focus to all the skills needed for LCat2 sailing. The new Trudeau dinghy makes sailing an exciting, two-person adventure, full of thrills and heart-pounding moments. Mega-Kudos to J Trudeau for the totally new Reefing on Leetle Cat II. As far as I can see, the reef effects are very different and far improved from the original Leetle Cat. They closely parallel both the philosophy and fact of ‘sail shortening’ in RL. It’s always fun to find these ‘unannounced extra goodies’ in new Trudeau releases! ok, I love sailing it, but HOW DO YOU RIGHT THE BOAT AFTER CAPSIZING???? ?